You don’t have to settle for the typical “metal self storage building.” Self storage structures can be attractively enhanced with block, stucco and/or brick. 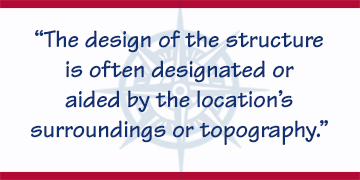 The design of the structure is often designated or aided by the location’s surroundings or topography. For example, flat sites may be more suited for single-level buildings, whereas sloped sites are more suited for bi-level buildings. When land costs are high, and especially if customers are accustomed to accessing buildings using elevators (such as customers in urban areas), a multi-level building may be the best solution. Also, mezzanines and RV structures may be included in the final mix. A mezzanine is an additional floor built inside an existing structure. It is typically created in buildings with high ceilings—at least 18 feet high—that are being converted for self storage use. Obviously, because 125 pounds per square foot live load is required for self storage use, our mezzanines are stronger than the average, conventional mezzanine.